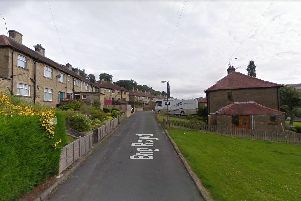 Police have released details of a man they would like to trace in connection with a robbery in Huddersfield. Nathan Simms, aged 19, of Kirkheaton, is wanted in connection with a robbery which occurred at a petrol station in Cooper Bridge on Sunday, March 22. Simms is white, about 5ft 10ins tall and of slim build with short hair. He is believed to have links to the Bradley area. Police have carried out a number of enquiries to trace Simms and officers are fully briefed as to his description. Anyone with information about his whereabouts is urged to contact Kirklees District CID on 101 or Crimestoppers anonymously on 0800 555111.